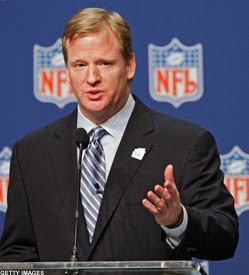 Follow this link, NFL chat, to submit a comment or question for Roger Goodell. Goodell will be participating in a live chat on Thursday, Dec. 17, at noon ET to answer questions from fans around the world. Its not a bad idea to tell him about me while you’re at it…. Take action with the NFL…. Outfit help! Aire to the rescue!